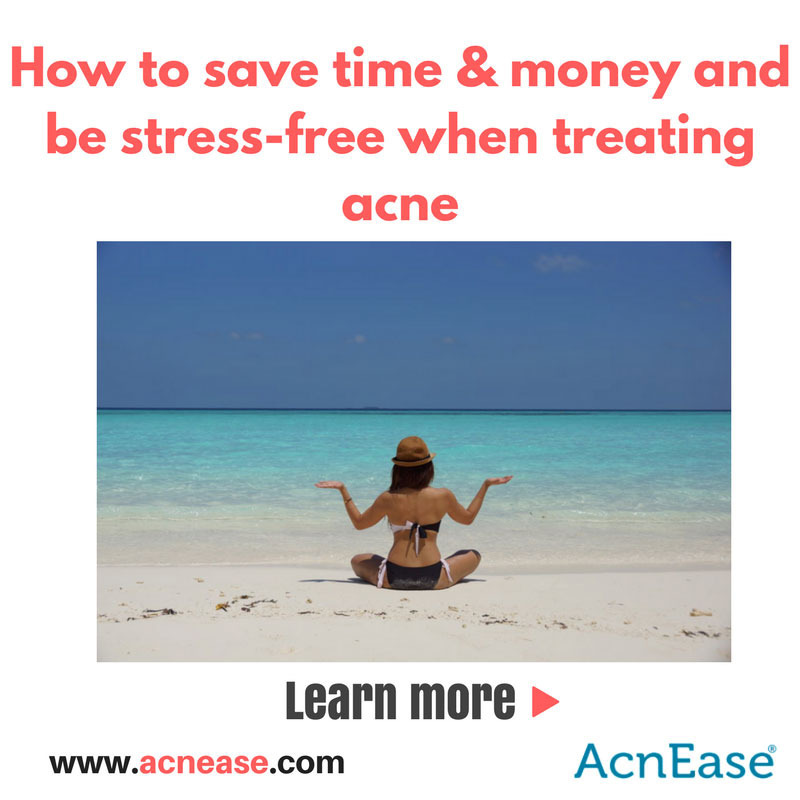 If you’ve had acne for even a few months you probably already have some experience with the trial and error method of finding the right treatment for your skin. No matter where you’re at on your skincare journey, there are a few things that can help you make some smart choices, and steer you clear of the wrong ones. Acne is attributed to a hormonal imbalance, which can affect the function of the sebaceous glands, whose job it is to create sebum, or oil. This oil travels along the pore to hydrate and protect the skin on the surface. When too much sebum becomes clogged within a pore and pairs with dead skin cells from the surface, bacteria forms, triggering an inflammatory response from the body. The result of that response usually appears as red, swollen bumps known as pimples, a symptom of acne. This process is known as the acne cascade. Therefore, the only REAL way to attaining a clear and healthy complexion is from inside. Most people think that topicals will do the trick when it comes to getting rid of acne. For most, however, treating acne this way comes with years of guessing and wasted money, with little to no real results to show for it. In order to get the skin you dream of, it’s crucial that you understand just what you’re dealing with before going in with a plan of attack. There are different types of acne. Like most things in life, no two acne symptoms are created equal, which is why learning and understanding your acne type is an important first step in achieving results. While all acne is caused by an imbalance of hormones, what that means for your skin will mean different things for different people, depending on whether your symptoms are inflammatory (such as pustules, nodules, and cysts,) or non-inflammatory (like blackheads, and whiteheads.) The type of breakouts you have are also a good thing to be aware of. Many people with mild breakouts think that they have mild acne, and might need a mild treatment to combat it, but quite the contrary is true. If you’ve had chronic acne (acne for atleast 1-2 years) you actually have a more severe form, even if you classify the acne as mild. To get an idea of what various symptoms look like, check out this helpful guide to aid you in finding a treatment suited to your needs. A combination approach is the best way to treat acne. The formation of acne is attributed to a process known as the acne cascade, where internal and external factors contribute to the skin condition. It’s important to implement a blend of treatments which target acne from the surface, and from within. A systemic acne treatment, hormonal birth control, and prescription medication is often used to target the insides, while a topical wash, exfoliation regimen, and moisturizer work as an adjunct to the treatment. Here’s a great guide to how you can effectively use a combination approach to getting rid of acne. Different seasons call for different measures. If you live in a climate that experiences four distinct seasons, there’s a very good chance that this change in weather is having a negative effect on your acne-prone skin. Skin tends to dry out in the fall and winter, and become oilier in the spring and summer months, which is important to consider when shopping for a topical acne face wash. Most cleansers are designed to zap oil, which can be harmful in the cooler months when skin is already parched, so you’ll probably want to opt for a gentler formula when the temperature drops. Prescriptions can be very dangerous and should be used as a last resort, and under the direct care of a doctor. Even if they may work to provide short-term solutions, the long-term costs may be very significant, as many prescription medications come with extensive and harmful side-effects, and are not to be used for anyone pregnant or nursing. That being said, prescriptions may be a good fit for someone suffering from severe, chronic acne for years with no relief, just always be sure to do your research beforehand, and let your doctor know if side-effects start acting up. Perhaps the best thing to keep in mind for anyone with acne, regardless of where they might be in their journey is to keep trying. Acne doesn't form overnight and it won’t go away that quickly either, so in the meantime, do your best to find kind and loving things to do for yourself and skin, such as the occasionalall-natural pampering, or a momentary meditative reprieve. And if you decide to become an AcnEase user, just remember that it works to deliver lasting results safely and effectively, with no harmful side effects. 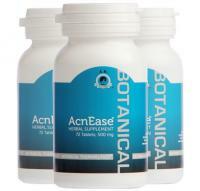 Using a powerful herbal formula, designed to treat all types of acne, no matter how mild or severe the symptoms may be, AcnEase eliminates existing acne symptoms while preventing new ones from forming before they start. We want to hear from you! Is there anything you wish you knew before starting your journey to acne-free skin? Have any tips for helping someone just starting out? Tell us in the comments!